1) Focus On Your Users – You need to completely focus on your users. Create questions that they would find interesting. 2) Make It Easy To Answer – create polls that have a short title and short answers. Make it easy to find an answer that fits or include another option. 3) Make It Visually Appealing– To make your polls appealing share your poll with an image that will catch your audience attention. 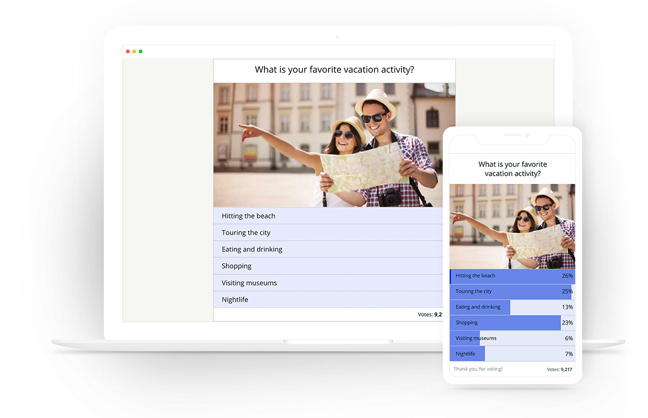 Integrate an image/video inside the poll to further improve engagement.